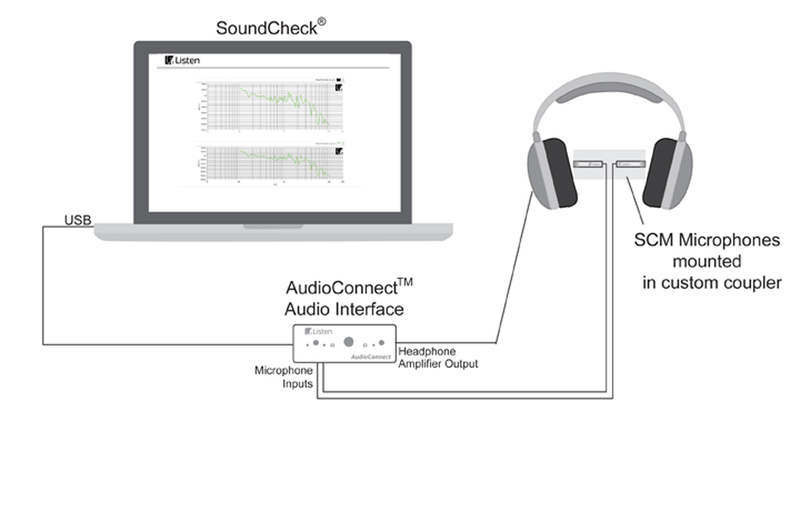 Headphones & Headsets – Listen, Inc.
SoundCheck offers simple, fast and accurate testing of any headphone – no matter what the form factor, functionality, connector or additional features. 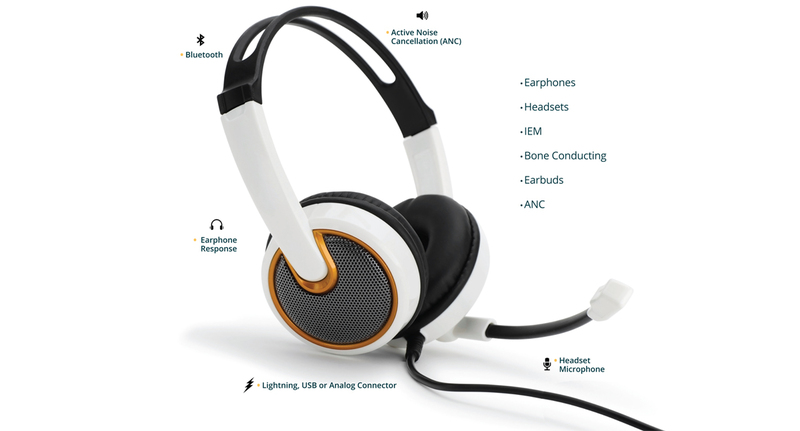 It measures a full range of driver parameters via traditional analog, Bluetooth, lightning or USB connections, as well as microphone performance, active noise cancellation and more. SoundCheck’s modular combination of hardware and software is cost-effective, flexible and expandable. At the heart of the system is the SoundCheck software. Powerful, fast and accurate, it measures every audio parameter from the R&D laboratory to the production line. Complete flexibility in stimulus choice enables any test signal (even music) to be used. 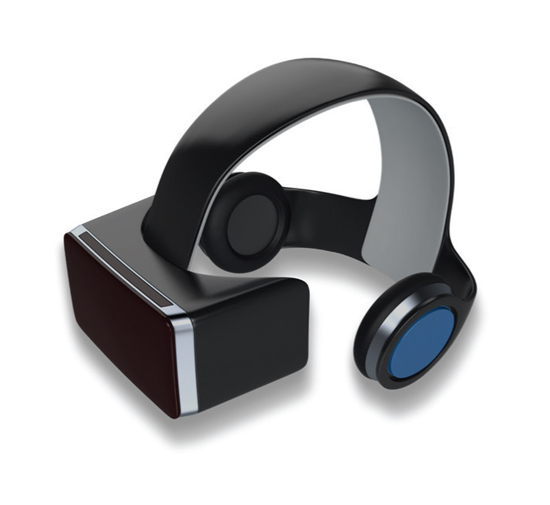 Virtual instruments offer the functionality of stand-alone hardware on your laptop. 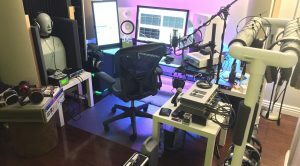 Advanced analysis and powerful post-processing options allow all types of analysis and mathematical operations – for example, placing the stimulus on the device and using triggered recording to test headphones with proprietary connectors (e.g. lightning connector), or the application of any target curve to a headphone response. Display options range from comprehensive Microsoft Word or Excel reports to simple pass/fail output or writing to a database. Repeatable, automated tests are quickly and easily created, modified and saved using the simple point-and-click interface. Several fully editable sample headphone sequences are provided, and more complex sequences are available for specific test standards such as IEC 60268-7 and EN-50332. The software also controls the audio measurement hardware – an audio interface, a microphone (or HATS, coupler etc. ), and appropriate power supplies and amplifiers. AudioConnect™: A compact audio interface with built in headphone amplifier and a power supply for up to 2 SCM™ microphones. This is a very cost-effective approach for basic headphone testing. 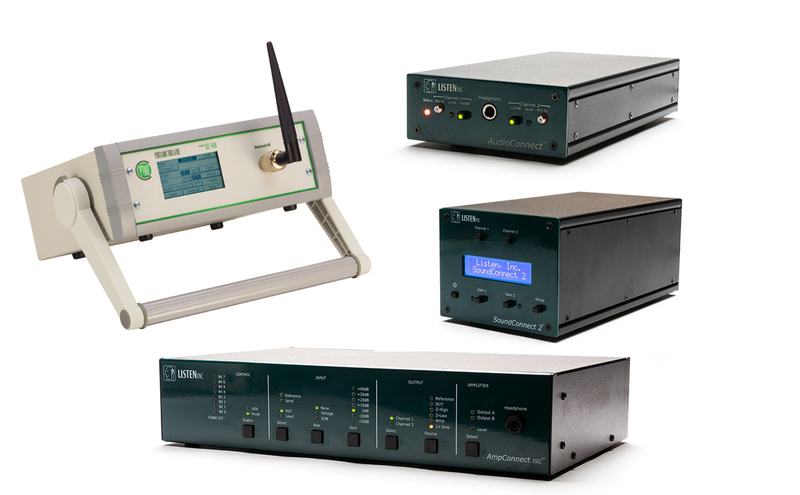 AmpConnect™: Listen’s all-in-one hardware interface includes an audio interface, headphone amplifier, power for up to 2 SCM or IEPE microphones (for use with couplers or IEPE-powered HATS) and an amplifier to power a speaker for ANC tests. SoundConnect 2™: A 2-channel microphone power supply (SCM, IEPE, 200V polarization) ideal for applications where polarization is required, or for switching between acoustic and impedance measurements with a 2 channel audio interface. Also available for more complex test requirements: MEMS interfaces, amplifiers, speakers, current monitors, 3rd party hardware including Head and Torso Simulators (HATS), ear couplers, headphone test fixtures and more. 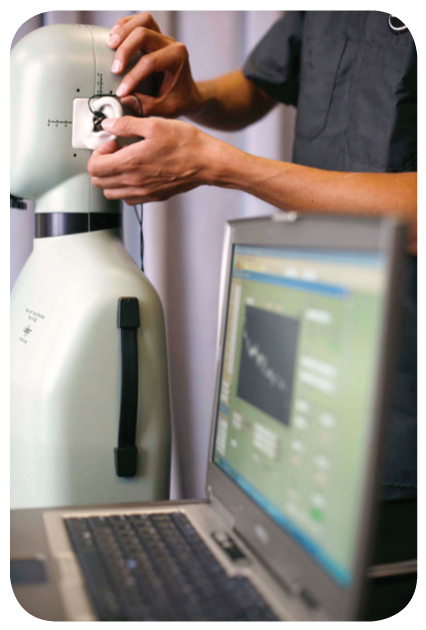 In the R&D lab, SoundCheck is used with a head and torso simulator to measure a complete set of loudspeaker parameters such as frequency response, distortion, maximum SPL and diffuse or free field corrected responses. Powerful test options, with a large selection of stimuli, analysis and post-processing options, enable just about any measurement and analysis. A range of interfaces permit Bluetooth testing, open loop testing and more. Pre-written test sequences facilitate out of the box testing to standards such as EN-50322, IEC 60268-7 and others. 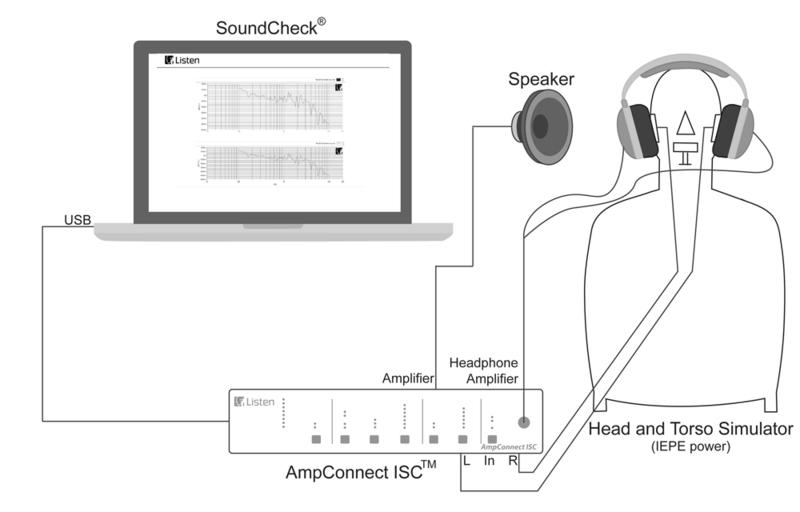 Unlimited test flexibility – although SoundCheck is pre-programmed with all common headphone tests, it is so flexible that any test that you can conceive can be implemented. Simple point and click sequence development enables complex tests to be developed with no need for programming. 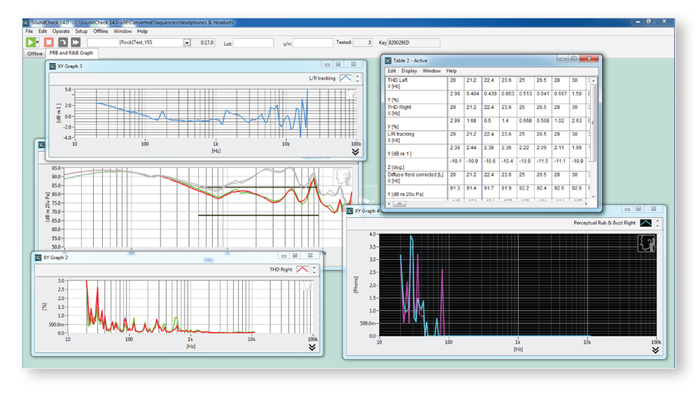 Virtual instruments – a virtual real time analyzer, multimeter, signal generator, spectrum analyzer and oscilloscope offer the same functionality within the SoundCheck software as their conventional hardware counterparts. Advanced stimulus, analysis, post-processing and even statistical options allow you to not only make all the measurements you need but also calculate any parameters arising from these without leaving the system. Sophisticated report writing functionality enables comprehensive reports to be automatically generated, ensuring consistency and saving time. A typical R&D headphone test system, consists of the SoundCheck software, the AmpConnect ISC all-in-one test box and a head and torso simulator or couplers. Alternative configurations include using discrete audio interfaces, headphone amplifiers and power supplied for the microphones in the head and torso simulator. 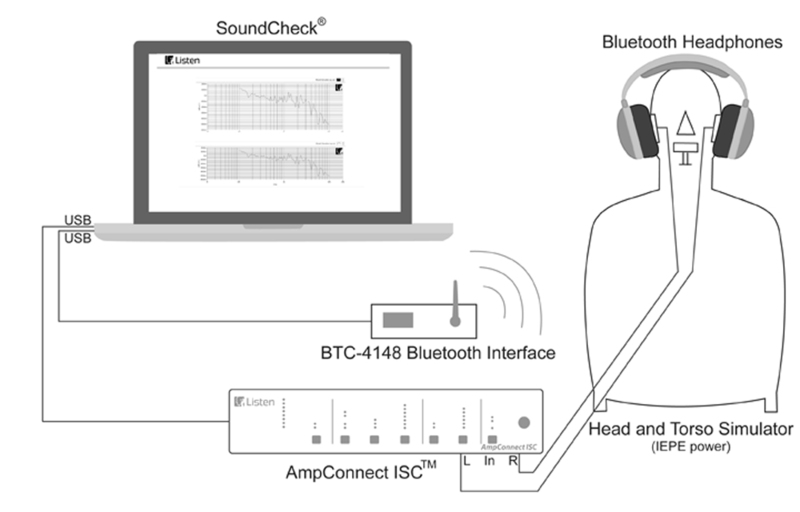 Testing bluetooth headphones would additionally require a Bluetooth interface to create a controllable connection between the computer and the device under test such as the BTC4148 Bluetooth Interface. Testing noise cancelling headphones would additionally require a loudspeaker and appropriate amplifier to create a noise test signal. On the production line, SoundCheck is generally used with an ear coupler or custom test fixture to identify any drivers that are out of tolerance, or which contain manufacturing faults such as loose particles or Rub & Buzz. It can also be used for sorting and pairing drivers. It offers extremely fast testing, simple pass/failure (with optional failure mode) output, and full integration with footswitches, barcode readers and other production line automation. 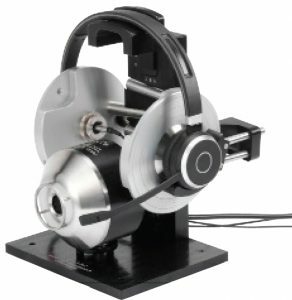 Testing headphones and headsets on the production line using SoundCheck results in better quality and higher yields, as faults are immediately identified, enabling production lines to be halted before too much product is wasted. A typical production line headphone test system, consists of the SoundCheck software, an AudioConnect interface and a coupler. 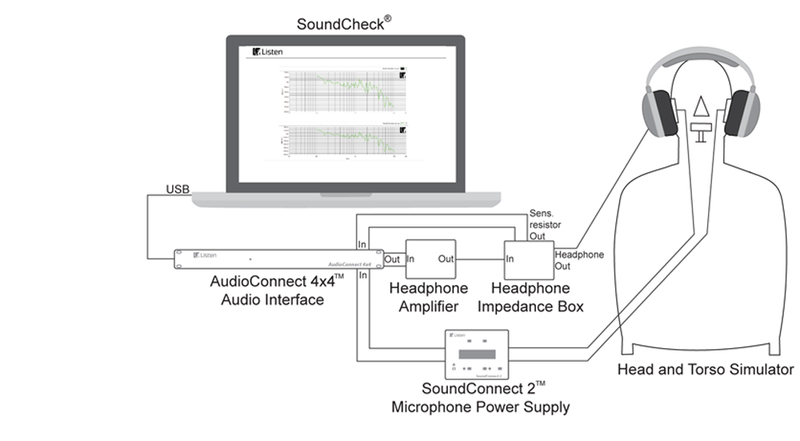 Examples: How do our Customers use SoundCheck for Measuring Headphones and Headsets? More information? See the right sidebar to view detailed information about relevant test sequences, white papers, webinars and more about headphone and headset testing.